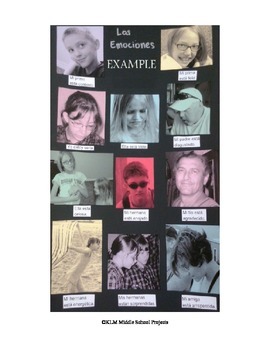 Las Emociones is a project for Spanish 1 students. In this activity, students will use digital cameras to review vocabulary for emotions, family and friends, and the verb estar. They will use their photos to create a poster to demonstrate their comprehension of the vocabulary and their ability to create complete short sentences.